The Horseware SportzVibe Therapy Dog Rug is an innovative, lightweight portable massage rug designed to help boost circulation in dogs. This rug is ideal for warming the muscles of working or performance dogs prior to exercise, as well as a recovery rug to help ease soreness and stiffness after long workouts. 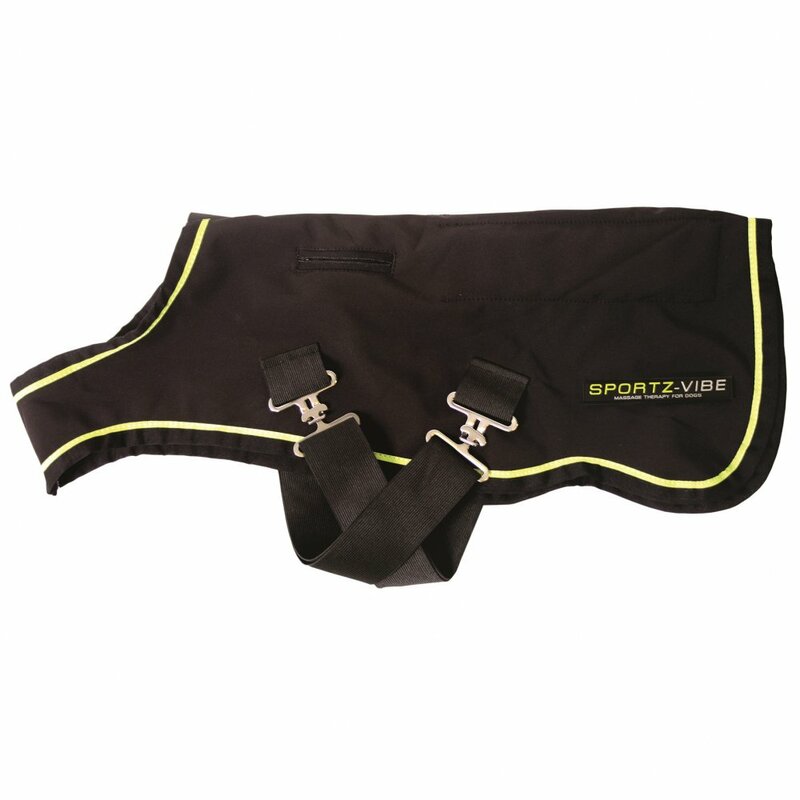 SportzVibe Dog Rugs can be used on dogs of all ages that may be suffering from back problems or hip conditions and will improve blood supply to the muscles helping to reduce pain and inflamation.